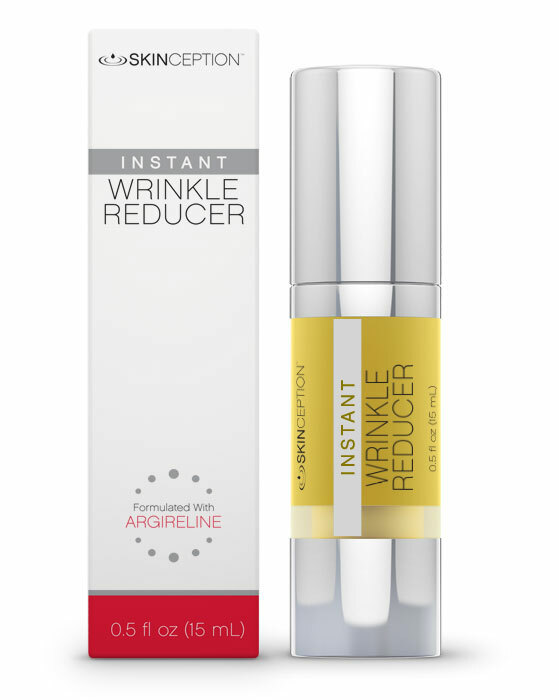 Argireline is the key ingredient in Instant Wrinkle Reducer and is a naturally occurring substance derived from peptides. Compared by many in the medical profession to Botox®, Argireline works in a similar fashion, without the needles, or expensive doctor's office visits. 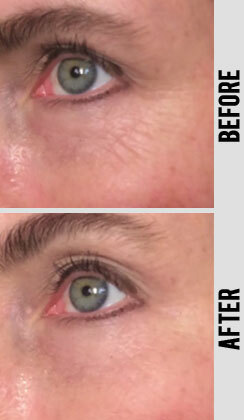 Argireline has been proven to revive skin, minimize the appearance of fine lines, dark eye circles and baggy skin. It essentially shrinks the pores – resulting in skin that appears to have a flawless finish. 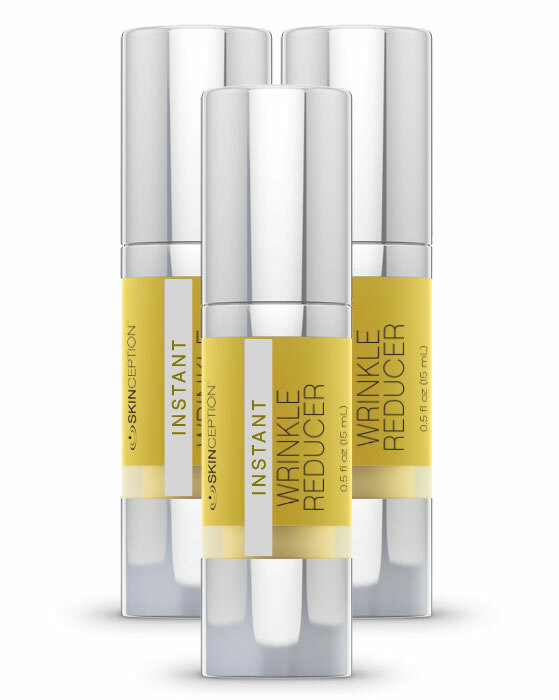 Instant Wrinkle Reducer works quickly – within a few minutes of application. 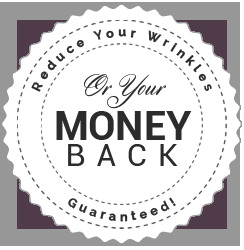 You can watch as the years literally melt away – giving you a fresh, more youthful appearance. 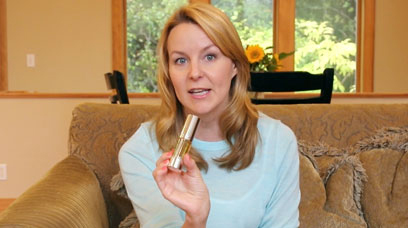 "Argireline is a needle free ingredient used in the best skin creams and serums that works just like Botox®." "The average consumer, the intelligent consumer, will try one of these products (with Argireline) and find it does make them look better." "Argireline, a synthetic peptide, which is patterned from the N-terminal end of the protein SNAP-25, can both reduce the degree of existing facial wrinkles and demonstrate effectively against their development. In our past studies, we found out that Argireline had a significant anti-wrinkle effect in Chinese subjects and that it was safe and well tolerated." Hyaluronic Acid, another naturally occurring substance, works to enhance the effects of Instant Wrinkle Reducer's star ingredient, Argirleine. A powerful agent in its' own right, Hyaluronic Acid reduces – even eradicates - fine lines and wrinkles while it naturally plumps up and moisturizes your skin. Don't let the word acid fool you. Hyaluronic Acid is not acidic or harmful; in fact, it's soothing and luxuriously smooth. It occurs naturally in our bodies, in diminishing quantities as we age. Adding Hyaluronic Acid topically plumps and hydrates your skin, making skin softer and increasing elasticity as it helps restore collagen and elastin fibers. Hyaluronic Acid is one of the most water loving molecules found in nature. When combined with Argireline, you have an age-defying powerhouse in a bottle. "Topical application of all Hyaluronic Acid formulations used in this study led to significant improvement in skin hydration and elasticity. Application of low-molecular-weight Hyaluronic Acid was associated with significant reduction of wrinkle depth."